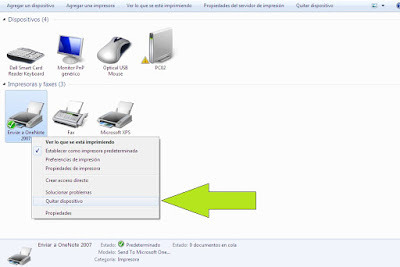 Uninstall a printer in the Windows 8 operating system is easier than in other systems, just follow the steps below and if you have any questions, type a comment. In older operating systems like Windows XP and Windows 7 to uninstall a printer should go to device manager and uninstall programs. 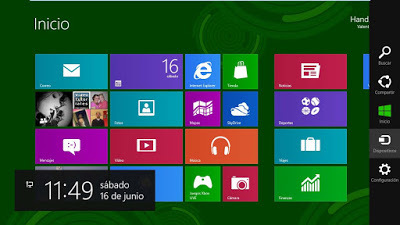 In the case of the new Windows 8 operating system to uninstall a program it is not in the same way. This new operating system has another way to uninstall printers especially when we installed the drivers we run an uninstaller to remove the printer is installed. Before proceeding with the program to uninstall the printer must verify whether there is any impression that still has not come out or is in the process remove and then if you can start the process. This process is simpler than previously used operating systems, faster and efficient, only it takes about 5 minutes or less completely uninstall a printer from Windows 8, follow the steps below and if something goes wrong you can write a comment in this publication explaining their case. There are two ways to get to where a printer is removed if we use the Windows 8 operating system, one of which is through to devices and software or the Devices and Printers as known and the other is looking at setting must write printers. Anyway we arrive at the same place, see devices and printers, is where we see list of printers that have installed and should select the printer you want to delete. As it stated before there must be no document to begin the removal process of the printer. We will do a right click on the printer up we want to eliminate us a list of options for this printer appear, we must select the option No. 6 counting up and down, "Remove Device". This step followed a confirmation we appear in a popup window asking to accept if we really want to uninstall the printer. We accept and printer will disappear from our device list, a little faster but we must wait a little to clear, remember to take the driver files deleted entirely.